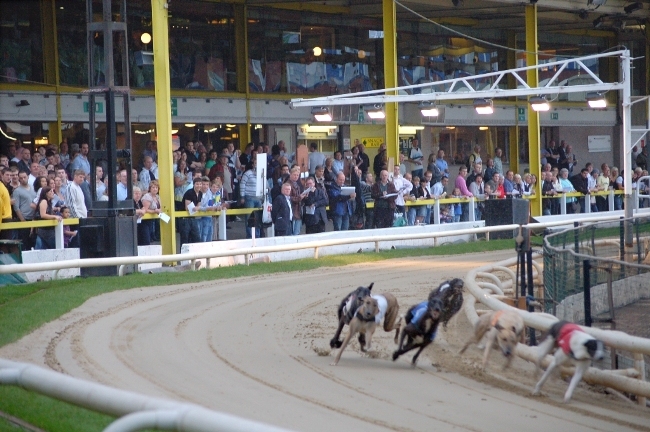 Sheffield’s Owlerton Greyhound Stadium has clocked up impressive attendance and sales figures after an offer-led approach brought more than 6,000 racing fans in through the quietest months of the year. For three successive weekends the stadium has seen more than 2,000 people pass through its turnstiles, with it topping 2,200 visitors on Saturday, February 2 – resulting in the highest attendance in 12 months. The stadium has worked hard to adapt to the challenging economic climate with enticing offers that have been pulling people through the gates in great numbers. General manager David Perry believes the stadium’s success is not only thanks to creative offers, but also down to the great rapport staff build up with people that come through its doors and serving top quality food. January and February are traditionally the quietest months for entertainment venues up and down the country, but we’ve been tackling the situation head on. We’re aware that people appreciate a great deal, and this is something we’ve embraced. Our creative ideas for offers in January contributed to over 3,600 people attending the races. In the same month we served over 3,000 meals over a 12 date period. Our newly refurbished 300-seater restaurant, one of the biggest in Sheffield, was at capacity on each occasion. The food sales were in response to a 2-4-1 deal that we launched at the beginning of the year. Hungry people in search of a good deal meant we sold out after 10 days. The restaurant and attendance figures are complemented directly by beverage sales. Over three weeks thirsty punters drank nearly 29,000 pints of draught beer and almost 7,500 glasses of wine. David believes the success is also because the stadium is increasingly attracting a wider spectrum of people who see it as the ideal venue for special occasions or a night out. Greyhound racing is no longer restricted to the ‘flat-cap brigade’. Owlerton Greyhound Stadium appeals to a variety of people from different ages and backgrounds, so each weekend is different to the next. On any night we can have a party of people celebrating an 80th birthday and a stag do! People from as far as Leeds have been coming to Owlerton for a fun, different kind of night out. The quality of service is the factor that brings people back again and again.